I have been reading books by Author Robin Sharma from the last 7-8 years. The first ever book I read by him was Discover your destiny and I have been reading his books from then on non-stop. The reason behind my fondness to Author Robin Sharma’s books is simply his authenticity and his attitude towards whatever he does on daily basis. How great geniuses, business titans and the world’s wisest people start their mornings to produce astonishing achievements? A little-known formula you can use instantly to wake up early feeling inspired focused and flooded with a fiery drive to get the most out of each day. A step-by-step method to protect the quietest hours of daybreak so you have time for exercise, self-renewal and personal growth. A neuroscience-based practice proven to help make it easy to rise while most people are sleeping, giving you precious time for yourself to think, express your creativity and begin the day peacefully instead of being rushed. “Insider-only” tactics to defend your gifts, talents, and dreams against digital distraction and trivial diversions so you enjoy fortune, influence and a magnificent impact on the world. Moreover, It took me a little extra time to complete reading it. It’s not slow paced, but the insights, structure, the step-by-step guides, and the tactics are really interesting and helpful. I was so gripped by the insights and the methodology. 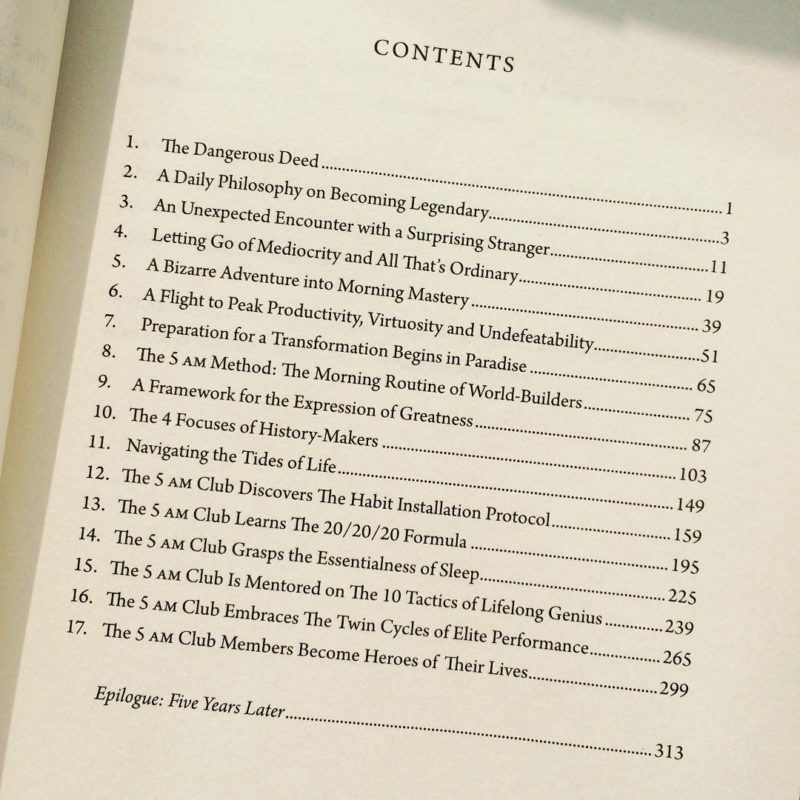 So, I preferred going through each chapter one-by-one in order to not miss a single detail. Yes, it’s that informational and packed with both goodness and motivation. It is so good that if you apply the methodology and the insights in your real life and career, you won’t only start solving the issues that you are dealing currently, but you will also understand how re-wiring your system especially your mind can change your entire game. 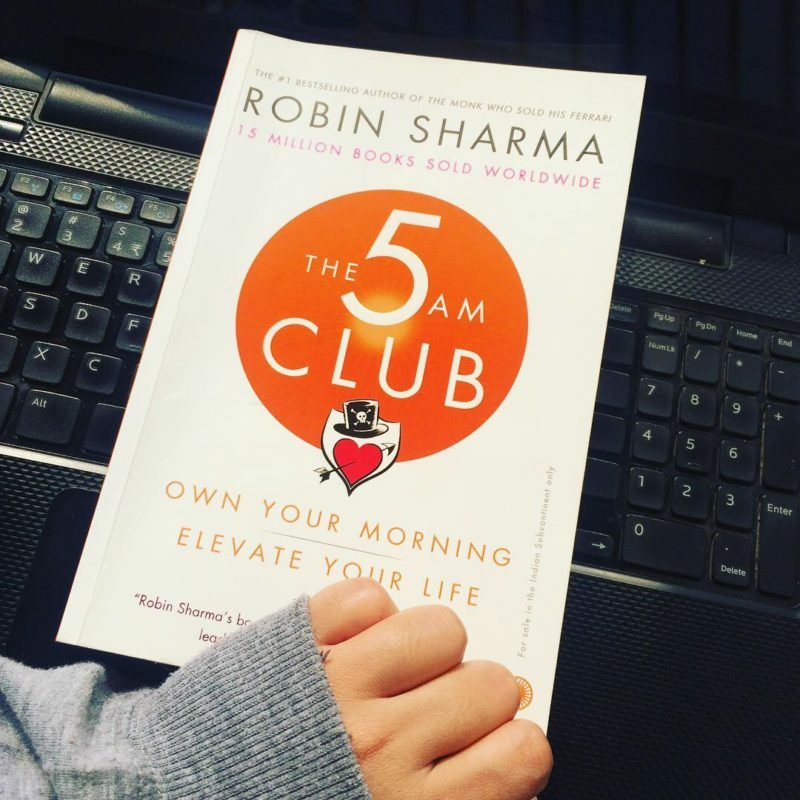 The 5 Am Club is not just a book with some benefits of rising early, but it has a lot more value packed in it. It teaches you how installing a few new habits can change your life for the best. It teaches you minimalism and how the legends, as well as the elite performers, have been able to accomplish what they have today. 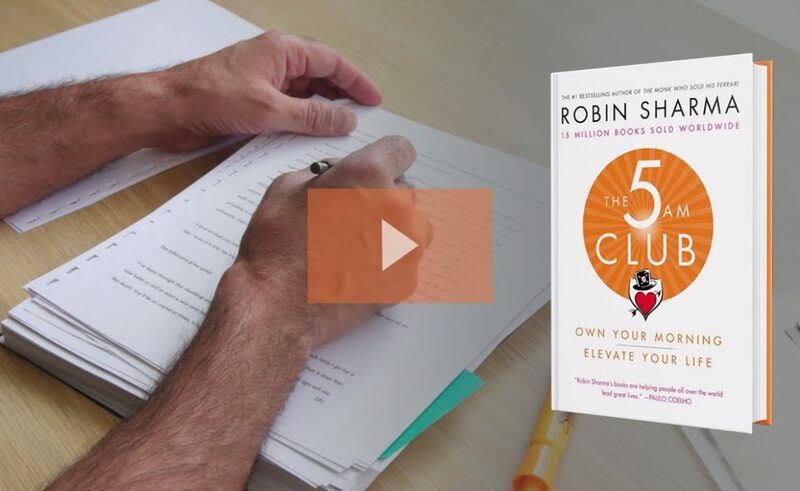 The 5 AM Club is packed with motivation and step-by-step methods to which if learned and understood well and put into execution can transform your life completely. So, even if you haven’t read his most popular books before, you can pick up this one, find an enormous amount of value and his teachings. And you can understand the tactics, embrace his methodology, implement what you will learn and put out (what he calls it) the world-class work. Though i m a huge fan of robin sharma, still i was waiting for your review on the book. And after reading it i went straight to Amazon and ordered a copy for me.